Turkey’s Interior Ministry has announced that a total of 924 people have been detained in operations targeting alleged supporters of the terrorist Kurdistan Workers’ Party (PKK) since twin bomb blasts in İstanbul on Dec. 10. The ministry said in a statement on Monday that the detainees are being accused of aiding and abetting the PKK. The operations have been conducted across 45 provinces, added the statement. On Dec. 10, Turkey was shaken by twin bomb blasts outside a football stadium in İstanbul’s Beşiktaş district that claimed the lives of 44 people and injured 166 others. The attacks were claimed by the Kurdistan Freedom Hawks (TAK), an offshoot of the PKK, on Dec. 11. Yet another terrorist attack took place last Saturday when a car loaded with explosives blew up near a public bus carrying off-duty soldiers and civilians in the central province of Kayseri. Fourteen soldiers were killed, while more than 50 others including civilians were injured in the attack. Turkish government officials have pointed to the PKK as the perpetrator of the Kayseri attack. Turkey has stepped up its crackdown on Kurdish politicians in recent months. 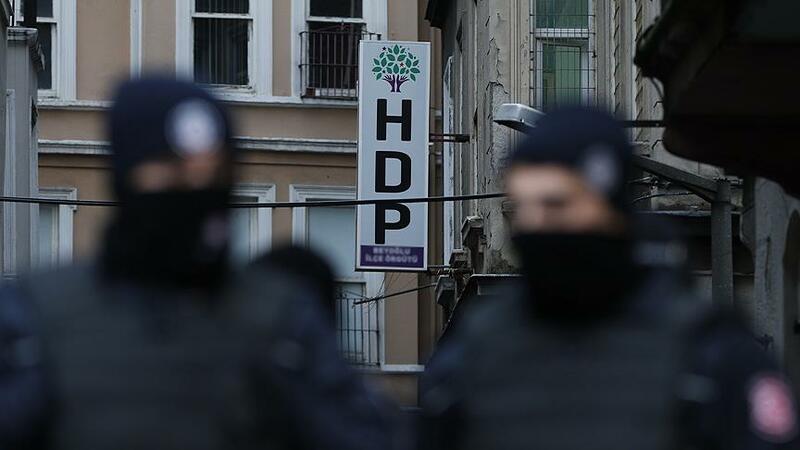 Courts arrested 10 deputies from the HDP in November and two others in this month. Turkish courts have also seized the administration of scores of municipalities and jailed dozens of mayors in southeastern Turkey over the past months. The Turkish government claims that the growing number of arrests of Kurdish politicians at the national and local level is part of the fight against terrorism. This article originally appeared in Turkish Minute on Dec. 19.